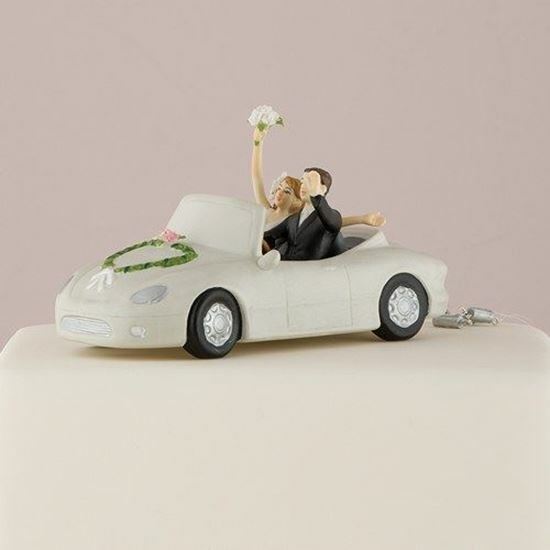 Drive off into the sunset, or in this case your wedding cake, with this fun, novelty cake topper. Little tin cans decorate the car in "Just Married" style. Hand painted procelain.